Levitt concert fun doesn’t end with free, live performances—check out Levitteer Heather Ryan Tillery who got to meet and snap a photo with Benton Blount, Levitt AMP Jacksonville’s first headlining artist of the concert season! What a treat to meet this “America’s Got Talent” finalist! 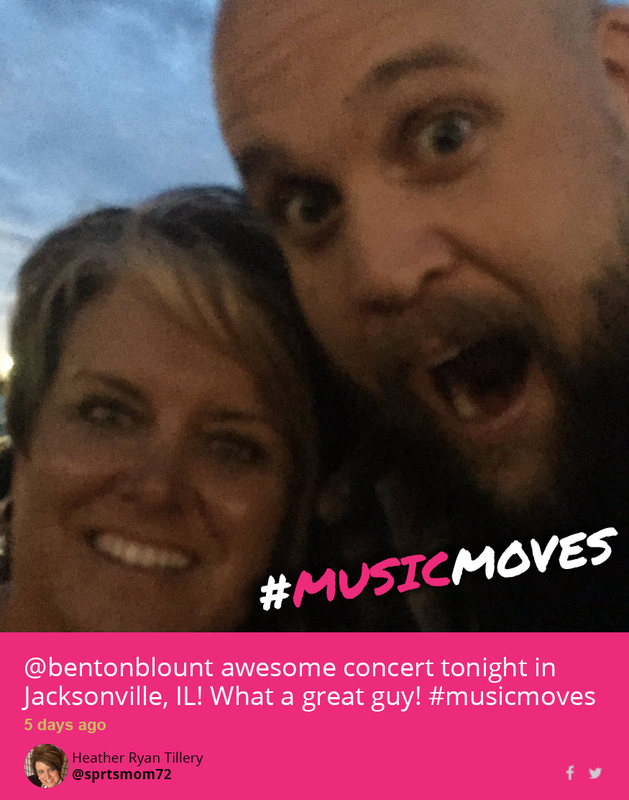 Thanks Heather for capturing this #musicmoves moment with Benton off-stage. Levitt AMP Jacksonville has more concerts to come this season, with the next one headlined by pop artist Marina V. on Friday, June 10 at Central Park. Not in the Jacksonville area? The Levitt concert season has begun rolling out across the country, with free Levitt AMP shows already happening in Carson City, Denison, Greensboro, Midvale and New Albany. Levitt Pavilion Arlington, Levitt Shell Memphis and Levitt Pavilion SteelStacks have also kicked off their concert series with multiple concerts scheduled every week. So check out their artist lineups and come enjoy free, live music outdoors all summer long! Want to check out more #musicmoves? Take a look at our live #musicmoves feed and share your #musicmoves on Twitter or Instagram for a chance to win one of four iTunes gift cards!